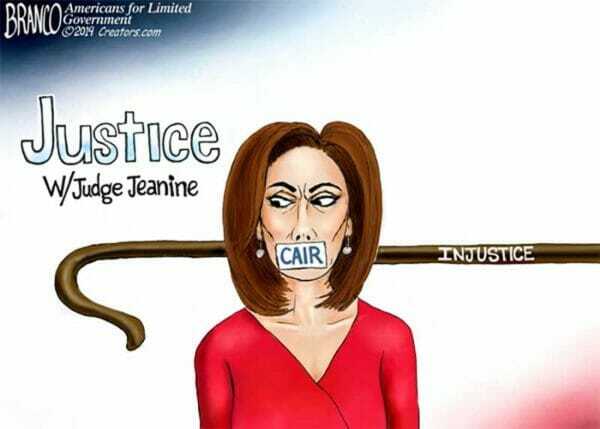 Designated Terrorist Group CAIR is at it again, petitioning FOX Advertisers to drop sponsorships of the Judge Jeanine ‘Justice’ show, simply because she questioned a hijab-wearing, Jew-hating Muslim Congresswoman whether she is more loyal to sharia law or the US Constitution. Please see new contact information below. What was posted here yesterday was for the wrong St. Barnabas. 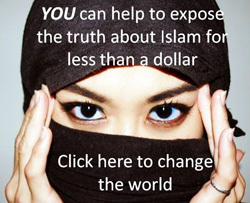 BNI readers can counter the CAIR hate campaign (see below) directed at St. Barnabas Health System by telling the company why they should continue its support for Judge Jeanine, and more importantly, what Hamas-linked CAIR is doing to undermine this country. (WASHINGTON, D.C., 3/19/19) – The Council on American-Islamic Relations (CAIR), the nation’s largest Muslim civil rights and advocacy organization, today called on St. Barnabas Health System in Pennsylvania to drop Islamophobic Fox News host Jeanine Pirro as a speaker at an April event. TAKE ACTION: Contact St. Barnabas Health System to Ask That Jeanine Pirro Be Dropped as an Awardee and Speaker! Pirro is to be honored with an award at the health care provider’s “Founder’s Day” celebration on April 25 at the Pittsburgh Marriott North. “An individual who promotes bigotry targeting a religious minority should not be honored or given a platform by any credible organization, let alone one that serves the health care needs of a diverse public,” said CAIR National Communications Director Ibrahim Hooper. Hooper noted that Pirro has a long history of anti-Muslim bigotry. Earlier this week, CAIR called on all advertisers to withdraw their ads from Fox News after that network apparently pulled the “Justice With Judge Jeanine” program following the host’s rhetorical attack on a Muslim congresswoman. 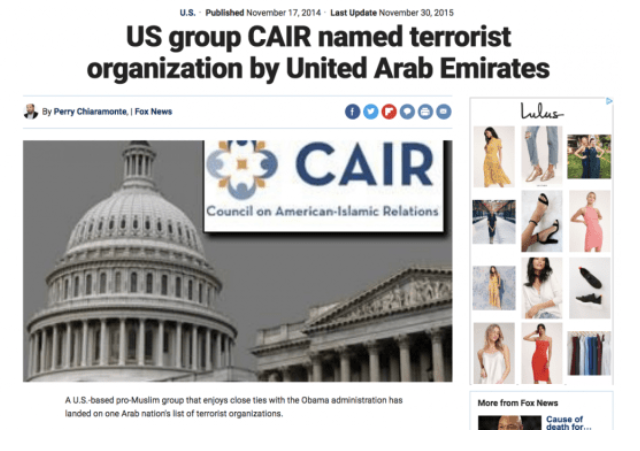 Why is CAIR not designated as a terrorist organization by the US government, because that is what it is? There have been several resolutions (the latest from Ted Cruz) to designate them as such in the Senate, but Senate leaders refuse to bring it to a vote. No guts. They don’t want to be labeled “Islamophobic.” And perhaps they get campaign donations from CAIR. I have news for you, cair, by doing this sort of thing you are only ensuring your own demise. The resentment and anger at your slimy tactics are already at the tipping point, if not beyond. I suggest you take a breather and or just leave this country. Don’t say you weren’t told. Utterly ridiculous comments by hooper apply perfectly to islam, and it’s rich that “Pirro has a long history of islamophobia”, when c.a.i.r. and the infamous dougie hooper have a longer history of hatred for America and all the rest of us. Bonni, I just received an email from the comment I left on that link, they say they are the wrong hospital. My answer back from St. Barnabas Medical Center was that I had contacted the wrong St. Barnabas Medical Center in New Jersey (by following your link) and not the one in Pennsylvania. Get it right! Cant belive it.Even in Germany this will not be a scandal-Muslims were askied more than 1 time at TV wahts more important to them. Must be the so called PC illness. There’s a lot of clean up to be done and Cair and the brotherhood are somewhere on the list. Not a clean up, a wipe out. This comment is now being used to prove threats against CAIR. How is wiping out an organization a threat? For what it’s worth….email to S.B.M.C. 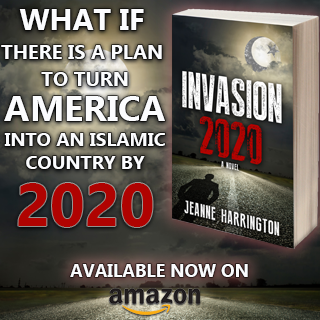 Please support the FOX News Network’s television host Janine Piro and DO NOT submit to the lying propaganda that is directed your way by the horrible organization known as CAIR. CAIR is a recognized supporter of the terrorist organization HAMAS, and they have a world wide agenda to spread their “political ideology” disguised as “religion” to infiltrate and eventually establish a global system controlled by Islam. Someone should read a Koran, a Hadith and a Sunna…to learn EXACTLY what the evil of Islam is all about. They are globally on the march, and just look to the mess Europe is in as far as the infiltration affect of Muslims are having on the people over there. It is truly a mess that MIGHT be beyond recovery, without a European civil war. CAIR aka Hamas-Muslim Brotherhood has all so-called reform muslims that say they want to discard sharia supremacy living in fear. Deport all CAIR ‘CJD’ hyenas and end their reign of fear and arrogance. I, too, have just sent to Saint Barnabas Medical Center not to cancel their advertisement for Jeanine Pirro. I also just e-mailed Saint Barnabas Medical Center in support for Jeanine Pirro. I have been watching her program since the first episode. I just got through writing St Barnabas, an telling them the Judge was a great American,CAIR hates America an especially Americans,CAIR is a hate group…. Wait till she becomes POTUS in 2028 or 2032. She will clean house and fumigate the cockroaches. Hello. Please continue to support Judge Jeanine Pirro on Fox News. 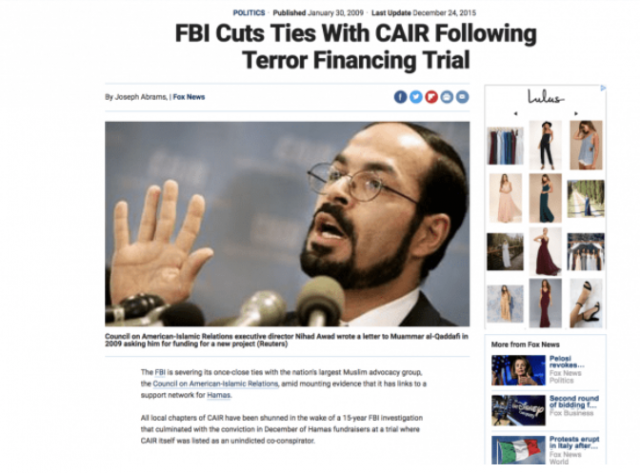 – The people at CAIR are tied to hamas terrorists. The United Arab Eremites (UAE) have long ago recognized them as a terrorist organization. The truth is NOT hate speech. Thank you. 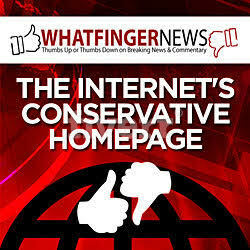 I was happy and honored to write in and to support Judge Jeanine and to ask that we all support Judge Jeanine. We must all stand up for the truth. God bless America…As the cowboy says, Again. I emailed. Thanks for finding this, Bonni. I’ll post more as I find them.